This trusty, sturdy little knife doubles as a money clip as well. Fashioned with a clip on the back that could be used to clip the knife to your pocket or belt, but is really meant to be used as a money clip. The high-quality Fury blade has a smooth action for opening and closing, and the thumb stud is perfectly placed and sized. The frame lock is extremely firm and keeps the knife in place, preventing accidental closings. 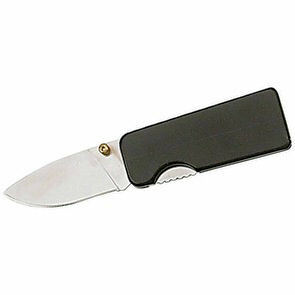 The Fury money clip knife is a wonderful backup knife for emergency situations.